I don’t like shopping any more. To be honest, I’ve never enjoyed shopping or high street crowds, but now I positively dislike them. We needed to pop in to Leamington Spa on Sunday to get a charger for Sally’s iPad and to ask advice about my iPhone. About a month ago I automatically and foolishly installed the IOS 8 operating system update. As a result I lost my WiFi and Bluetooth connectivity. Since then, I’ve searched high and low for advice on restoring it. I failed. I asked one of the usually very knowledgeable and helpful chaps in the Three store I sometimes visit when I’m in town what his suggestions were. He gave me his very best embarrassed and slightly nervous smile before suggesting that I get a new phone. There isn’t a solution. Not one that he or any of his colleagues have been able to find anyway. Mind you, Sally is quite happy with the phone’s WiFi failure. For the last month she has been able to relax in bed without the tell tale soft glow from my phone when I indulge in a little furtive nighttime email checking. We escaped the crowded phone store, dodged hundreds of shoppers laden with Christmas purchases and entered the relative calm of a Cafe Nero coffee shop. I understood why it was relatively calm in there after paying nearly ten pounds for a cappuccino, an orange juice and two almost transparent slivers of carrot cake. The next stop was a much quieter Braunston. We wanted to test some different coloured paints ahead of our cabin side repaint next April. The Wharf House Narrowboat’s chandlery next to Braunston Bottom Lock carries a wide range of Craftmaster and Toplac paints so we popped in there. We came out with a tin of Craftmaster’s red undercoat and another of Toplac Bounty. The Bounty has a purple tinge to it on the colour chart but is a rich dark red on the couple of boats we’ve seen with it on. I’m going to use it to repaint my pole over the winter before committing to the colour for the rest of the boat in April. We finished off the afternoon away from the boat with a pub dinner. A pub overlooking a canal of course. The Boat House in Braunston is a favourite of ours. We went there for a drink the day Sally and I first met in Daventry Country Park three and a half years ago. We’ve been frequent visitors there ever since. The canal side terrace is a wonderful place to spend a lazy hour or two in the summer watching narrowboats cruise slowly by. Sunday was far tool cold for terrace sitting though. The next time we sit outside at the pub, we’ll be living full time out on the cut. What an exciting thought! On Monday I was back to working in the cold rather than finding places to escape from it. There was plenty to keep me warm. Early Monday morning I took a boat from the marina up through two locks to the area on the wharf where we keep the boats for sale. It’s a job I do fairly often and one which is normally a pleasure. On Monday the trip wasn’t quite so pleasant. At this time of the year the sun is low in the sky so heading east at 8am on a clear day into the glaring sun isn’t the most pleasant of tasks. After edging the boat towards two locks I couldn’t see I was glad to escape into the shaded woods. I have four or five tonnes of oak, ash and willow on site which I cut last November. I logged the felled trees for my own use on board, but I’m not going to use it now. I loved the idea of creating and using a store of free fuel during my working day but after thorough research I now realise that I can’t use the wood effectively and keep the boat in reasonable condition. The problem with burning wood on board is burning it hot enough to prevent creosote and excess carbon monoxide from forming. The hotter the fire, the less dense creosote laden smoke is created and the less chance there is of that creosote from condensing on your flue and causing a chimney fire. Burning wood at the optimal temperature creates too much heat in the relatively small area inside your boat so if you burn wood on board, you inevitably get a build up of creosote not only inside the flue but also outside the boat around the chimney collar and down the cabin side to the gunnel. You will see many boats with smokey chimneys and an unappealing and difficult to remove nicotine coloured stain on the cabin side. Last winter, Sally and I had a couple of painful boat cleaning sessions trying to get rid of the stain. If we caught it early enough we could remove the creosote with traffic film remover but the chemical also removed the lovingly applied wax we had polished the boat with. The other issue was storing enough seasoned wood on the boat to keep us going for a reasonable period of time. We just couldn’t do it. The huge pile of six inch logs in my store were going to waste so on Monday I took a truck load to a house in a nearby village where the marina owner’s daughter has just moved. It’s a beautiful property set in extensive grounds. It has huge fireplaces in many of the rooms so the truck load of logs won’t last long. Back at the marina I had some road mending to do. At this time of the year we need to regularly fill water filled potholes with planings, the minced top layer removed from our nation’s roads by contractors prior to resurfacing. We have the planings delivered in twenty tonne loads. We get through about forty tonnes each winter. I spent a couple of days filling potholes and dressing our car paring areas and the roads around the new container storage area. It’s great work for cold weather. This newsletter is taking me far longer to write this week because of my chair. It’s a posh office swivel chair with a gas powered height adjust mechanism. Sadly, the height adjust mechanism has developed a mind of its own. I sit on the chair in front of my laptop at the perfect height for me with my arms resting on the arms of the chair and my hands slightly above the keyboard…. and then I begin to sink. The chair drops steadily until my laptop’s at nose height and my chin is resting on the desk. It’s not very comfortable. I believe that the chair’s gas cylinder needs changing. I’ll have to see if I’m capable of changing it but I suspect that I’ll be enjoying a child’s view of my desk for quite some time to come. At least I’ve had something interesting to look at while I’ve been rubbing the varnish off the desk with my chin. I’ve been watching an excellent seven part series of videos by professional narrowboat painter John Barnard. I’m determined to achieve a better result when I paint the cabin sides next year and I’m delighted that I’ve found this excellent advice. John has created the series as a marketing aid for his two day narrowboat painting courses, but the videos are packed with useful information about techniques, equipment and processes. For example, did you know that you can cause imperfections in your work just by breathing on early morning cold steel in an unheated paint tent? I didn’t. The solution is simple and it’s just one of the dozens of useful tips I picked up when I watched the videos. If you’re considering doing any boat painting at all, they are a very useful resource. The first in the series is here. Friday didn’t look too promising for the penultimate discovery day of the year. I was up at 5am to the sound howling wind and the rattle of pea sized drops of rain against the boat’s port side windows. The weather hasn’t defeated me on a discovery day yet but it certainly looked a challenge on Friday. Fortunately, as is often the case with the English weather, by 9am and the start of the day’s cruise, the day was totally different. The wind and rain disappeared leaving us with perfect cruising weather for what turned out to be a very quiet day on the cut. In the six hours we were out on the canals, we passed just three moving boats. I spoke to the lady at the helm of one of them. She told me that she cruised for five hours the previous day and didn’t see anyone moving at all. This is remarkable when you consider that the area is one of the busiest on the network with over 2,000 marina moorings within a ten mile radius. Who said that the waterways are getting too crowded? In May last year I wrote about common narrowboat accidents in this newsletter. 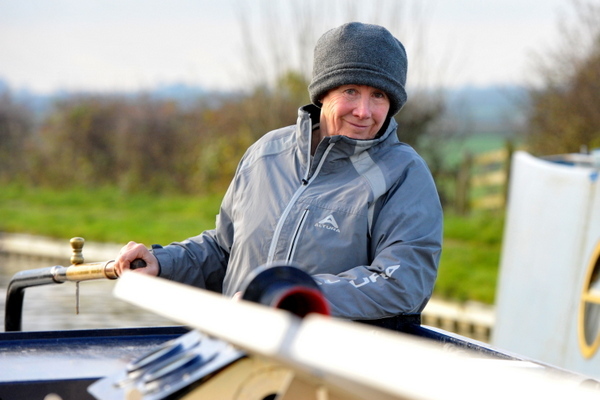 I told you about an experienced lady boater who tripped and fell at Calcutt Top Lock hurting herself quite badly. In fact, she hurt herself so badly that we had to transfer her from one side of the canal to the other strapped to a stretcher on a boat’s bow so that she could be carted off to hospital. The accident was caused by a momentary lack of concentration doing something she had done a thousand times before without any problems. A couple of weeks ago I received an email from a narrowboat owner who had been living afloat for eighteen months and who had just had an unpleasant and potentially very dangerous experience at exactly the same place at the same lock. We finally set off August time, got to Kilby when the cam belt failed: £2500 and another two week delay! It’s a bloody god job I didn’t pay a lot for her, for what she is. Anyway, spent until June this year painting outside, ripping out the awful linear seats, using their bases as a bed base for a second bed room, fitted new laminate flooring and carpet up to the gunnels, fitted a new kitchen, new led lights, led strip under the gunnels, blah blah and moved on board after retiring at the end June. Set off in July with my partner and spent 3 months doing the Leicester ring, including the Ashby and Erewash. When I got back to Welford I realised I was spending over £40 per week for a linear mooring, with unreliable electric supply and nothing else, no showers, laundry: nothing. So I gave notice ( I had paid up to end Nov) and set off again. So far I have dropped one phone in, fallen in with a phone in my pocket, lost a couple of windlases, got sunburnt in the summer and covered in mud now – and I love it. I am glad you are taking the plunge; I’m sure you’ll enjoy the life. I must say, it took me weeks to stop thinking I had to move every day, or to plan to be somewhere – getting years of experience out of my system I guess. Anyway, here’s an incident which happened to me. I thought your readers would find it useful. Approaching Calcut top lock this afternoon, I got off the stern with the centre line as usual, to stub the boat around the bollard. In this instance though a couple of things conspired to cause what could have been a nasty accident. Firstly, for no reason I picked the ‘T’ bollard – this will have repercussions. Then, I only got one loop around the bollard, ‘cos I did not have enough rope in my hand. The boat was moving a bit quicker than normal and, with no friction to slow it, she was carrying on dragging the rope through my hand. I couldn’t flip the rope off ‘cos it was a ‘T’, not a simple bollard. A loop then caught around my foot, dragging my foot and causing me to fall over. It was getting tighter and tighter around my foot and getting tight enough to cause me to shout out! Luckily the loop slipped off my foot and, with the boat now almost stopped, I could recover myself. Getting body parts caught in tightening loops of rope can cause very serious injury. A 60′ narrowboat can weigh between fifteen and twenty tonnes. A few years ago, again on the Calcutt flight, a boater caught his finger in a loop as his boat was dropping inside an emptying lock. He was on his own so he couldn’t drop the paddle to stop the water level dropping so the iron hard rope loop pulled the boater’s hand down into the lock until it eventually slipped off his finger and released him. Unfortunately, the only reason the rope slipped was because it stripped the skin off his his hand like a finger being cut off a glove. He needed hospital treatment as a result. Carelessness causes most accidents, so you need to be very careful around your boat, especially when you’ve been boating for a few years.